Making Kenora HOME is a group of individuals representing community members, community agencies, religious organizations and community leaders who meet to identify, discuss and take action on the multilayered issue of homelessness within the City of Kenora. 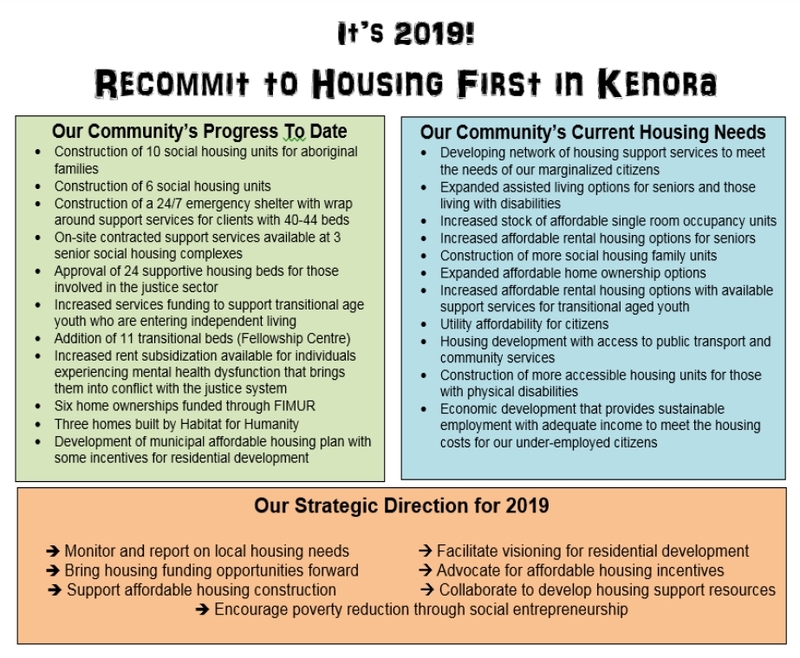 Activating Kenora to address the housing needs of the impoverished requires community engagement, inclusion and commitment. Please join us in the fight against homelessness. Kenora Substance Abuse and Mental Health Task Force video highlighting the work they do.